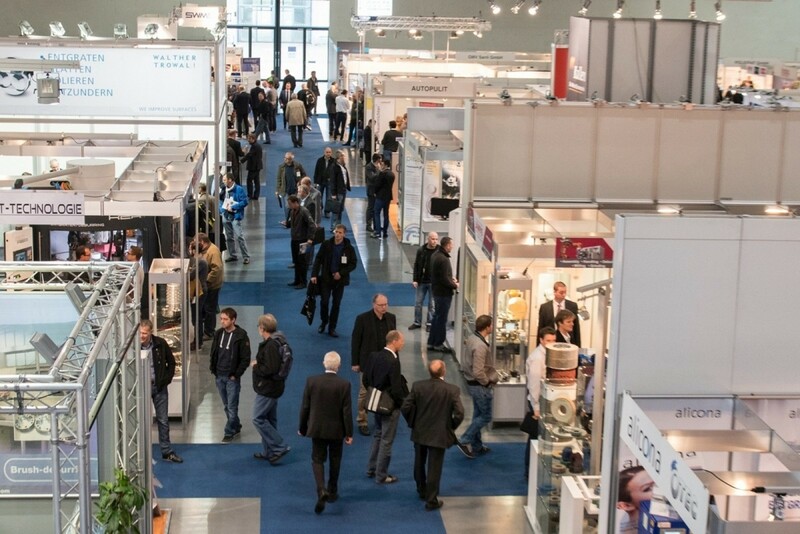 The clearly defined range of issues which focus on deburring, rounding and the production of precision surface finishes, as well as the resultant, highly targeted customer canvassing, are advantages which are scoring high ratings for DeburringEXPO amongst suppliers of products and services from the industry sector. This is the logical conclusion, at least in light of the strong demand for booth floor space at the 2nd trade fair for deburring technology and precision surface finishing. Ten months before the trade fair begins, occupied net exhibition floor space is 36% greater than total exhibition floor space at the initial event in 2015. The exhibitor list already includes roughly 110 companies from ten countries, which means that the total number of exhibitors who participated at the premiere event has now been exceeded as well. “More and more attention is being focused on the issues of deburring and precision surface finishing by manufacturing companies as a result of increasing requirements for quality, process reliability and productivity, as well as growing cost pressure. And thus we’re quite pleased to be able to provide visitors with even more extensive offerings”, reports Hartmut Herdin, managing director of trade fair promoters fairXperts GmbH & Co. KG. As the technology platform for deburring, rounding and the production of precision surface finishes, DeburringEXPO not only provides a representative overview of the relevant systems, tools and equipment, as well as measuring, testing and analysis systems. The trade fair also offers information about current trends and the latest developments. Amongst others, these include innovative tool solutions for mechanical deburring with a defined cutter, which open up an even broader range of applications with improved economic efficiency. Innovations in the field of thermal energy machining (TEM), by means of which burrs can be removed from even difficult to access locations on components made of metallic materials and thermoplastics, include, for example, equipment and systems with rectangular deburring chambers developed especially for deburring plastic parts. The latter not only increase the range of components which can be processed, they also assure optimised parts handling. The exhibitors’ offerings are rounded out by an integrated three-day expert forum which already established itself as a popular source of knowledge at the initial event with 1473 participants, where visitors are provided with the opportunity of gathering information from presentations covering fundamentals and expert knowledge concerning innovative technologies for deburring and rounding, as well as precision surface finishing. Beyond this, examples based on actual practice and benchmark solutions provide ideas and stimulation for the optimisation of processes at one’s own company. “In order to do justice to great demand for information regarding deburring, rounding and the production of precision surface finishes at the international level as well, the expert forum will be bilingual as of DeburringEXPO 2017 – presentations will be simultaneously interpreted”, adds Hartmut Herdin. Further information, the entire exhibition programme and a preliminary exhibitor list are available at www.deburring-expo.de.